I'm trying to cast a level 3 summon Zap Robo spell to finalize the upload. Now I'm worried I shouldve scribed level 4. I may have to file down an extra head before Pax even starts. Didn't lick enough rails prior to eh? I've even been licking door knobs. Will there be anymore Mup and Teddy, or has that ship sunk? Hey gray!!! What's up? I am an avid listener of your podcasts. I was wondering when your next podcast it meant to be coming? or are you just too busy after getting into CBT3? (hopefully the cbt3). Hehe I am actually editing and completing Episode 27 as we type. As for why episode 26 didn't make it to iTunes yet: I was unexpectedly out of town and simply couldn't update the RSS feed in time for it to make sense. Therefore iTunes subscribers will notice episode 26, 27 pop at the same time later this week. Thanks so much for listening to our shows. 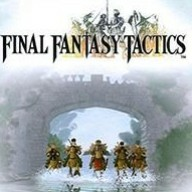 Final Fantasy Tactics is one of my all-time favorite games. I'd love a sequel with an equally amazing story. I'd also be curious to see what they could do with some updated graphics. FFT would work perfect with touch screen too for movement and targeting skills. Nexus Weekly Twitter Question of the Week is up. Wee! Reading and sleepy times now. Good 'eve. Very cool Graff - that's always exciting. Patrician you've outdone yourself with that read.